Seo is a technique which increases the visibility of websites on the search engines. It makes the website crawlable and easily accessible by the search engine bots. It improves the site structure and other elements like the loading time of the site in order to increase the user friendliness as well as search engine friendliness of the website. Seo is both an art as well as science. It generates traffic to a website organically (i.e. without opting for ads and paying money to the search engines). 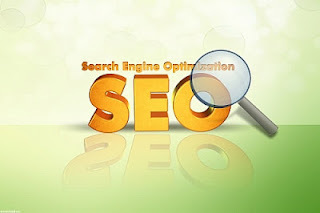 Seo is also a term used to define persons who practice this technique. There are known as Search engine optimizers. The field of Seo is directly related to the search engines. This covers how search engines deliver the search results, how a user finds information with the help of search engines, what does a user types in the query box, how does a search engine crawls the web, indexes and displays the result to the end user etc. The main function of a search engine optimizer is to make a website rank on the first page of Google for some keywords related to the industry (niche) of the website. 1989- Cern became the largest internet node in Europe. 1- To make changes on the title and description tag according to the web page content. 2- To increase the crawlability of a website. 3- To submit the website in major search engines of this world. 4- To plan out a strategy for better search engine visibility. 5- To choose keywords using various tools. 6- To increase linkability of the website. 7- To remain updated about the ongoing changes in the search algorithms. 8- To increase the popularity of the website by social media integration and link building. 9- To provide users with the most relevant content w.r.t the targeted keywords (Every seo must think about this). 10- Creating 301 redirects (if necessary). 13- Making changes in the content keeping in mind the user as well as the search engine. Google- Undoubtedly, the world’s best search engine, Google was found in the year 1998 by two young Stanford University students named Larry Page and Sergey Brin. Soon after it was launched, Google started to have an increase in the number of people who used it for quality results and speed. People liked Google for its simple design yet amazing ability to deliver the most relevant results in just a fraction of seconds. Currently, Google holds more than 75% market share of the search engine industry. Baidu- It is a Chinese language search engine website and probably ranks second because China ranks first in the internet usage around the world. It was created in the year 2000 by Robin Lee and Eric Xoo Baidu holds the market share of around 7% due to it's stronghold among the Chinese community who trust Baidu the most. Yahoo- One of the most visited websites in this world. Yahoo is the third most popular search engine in this world.It was founded by Jerry Yang and David Filo in January 1994. Very few of us know the full form of the acronym Yahoo. Yahoo stands for "Yet Another Hierarchical Officious Oracle". Currently Yahoo holds a market share between 6-6.5%. Bing- It ranks 4th in the world with around 4-4.5 % market share. Powered by Microsoft, Bing has enough potential in changing the metrics of search. It was launched in 2009 by Steve Balmer (The CEO of Microsoft).On July 29, 2009, a deal was struck between Yahoo and Bing where it was decided that Yahoo search results would be provided by Bing.In this way, Bing is slowly and gradually becoming the number 1 competitor for Google. On Page Optimization – All the changes made on the files and servers of the website come under on page optimization. Some common examples are changing the title tag of the website, changing the meta tags of the website, rewriting content, applying redirects, adding some commands in the robots.txt file etc. In simple words, changes that one does on the website itself come under on page optimization. 7- Improving search engine accessibility. 8- Maintaining the number of OBL’s on a web page. Off Page Optimization- The work that you do to popularize a website on the World Wide Web comes under off page optimization. These may include directory submission, article submission, forum posting, blog commenting, link building, social media promotion etc. White Hat Seo – Search Engine Optimization professionals who follow the guidelines issued by the search engines while promoting a website come under this label. Black Hat Seo- Search Engine Optimization professionals who apply techniques to trick the algorithm of search engines while promoting a website come under this label. They often promise to rank a website within a few weeks and therefore may ruin the status of the website. The sites which apply Black Hat Seo techniques are in danger of being penalized by the search engines. Grey Hat Seo- Persons who apply a mix of both white hat and black hat seo techniques come under this label. 1- It can increase traffic to your website with the help of search engines. 2- It can make your site more search engine friendly. 3- It can increase the accessibility of your site. 4- It can increase the brand value of your business. 5- Seo can popularize your business on social media platforms like Facebook,Twitter,Linkedn,Myspace,Orkut etc. 6- It can help you to reach niche audience. SEMPO- World’s largest organization for search and digital marketing. Pubcon- Conference and Gathering of Social media people. Emetrics- Organizes search engine marketing and search engine optimization summits. I read all post. Very useful and innovative & good way to explain about seo. Good way to explain about seo.